Geoff led 16-18 cyclists on the river circuit today. It was a beautiful, windless, sunny morning, though the path was quite wet from overnight rain. Lots of people and their dogs were out enjoying the beautiful morning. Just after the breakwater, Doug spotted a ‘rock’ on the path. This turned out to be a bag of MacDonald’s rubbish, probably tossed out of a car on the new Breakwater Bridge. It’s interesting to note that there is hardly ever litter on the Barwon Path, the inference being that path users value their environment. Coffee, as usual, was at Barwon Edge. Thanks to all riders, and to ride leader Geoff and tail-ender Mike. If you’d like to step up a few km for a Sunday ride, tomorrow might be just the thing. The ride is going to Little River, then back to Lara for coffee. You have the option of a shorter ride (around 35km and flat) from Little River Station. 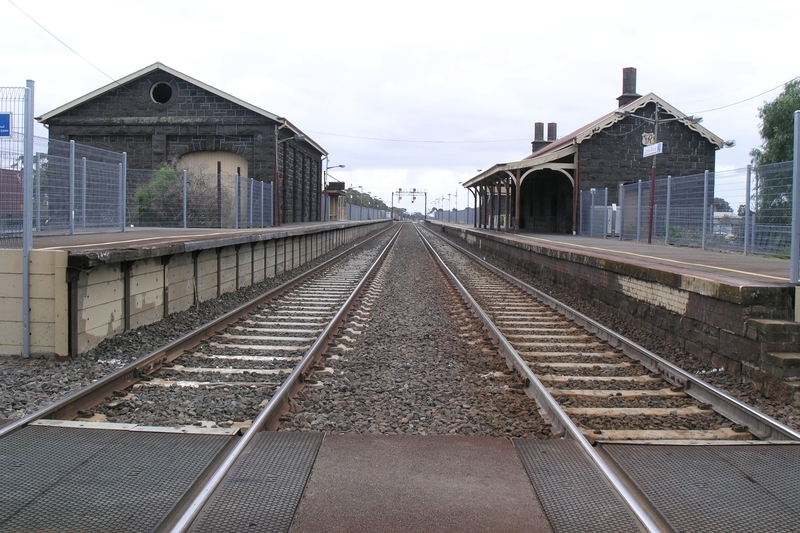 (We aim to meet the train that arrives at Little River at 10.08 – leaves Waurn Ponds Station at 9.36.) The longer ride (around 65km) leaves from Rippleside Park at 8.15 (note this is earlier than usual). This entry was posted in Ride reports and tagged Barwon Edge, Barwon River Circuit by hlyth2013. Bookmark the permalink.